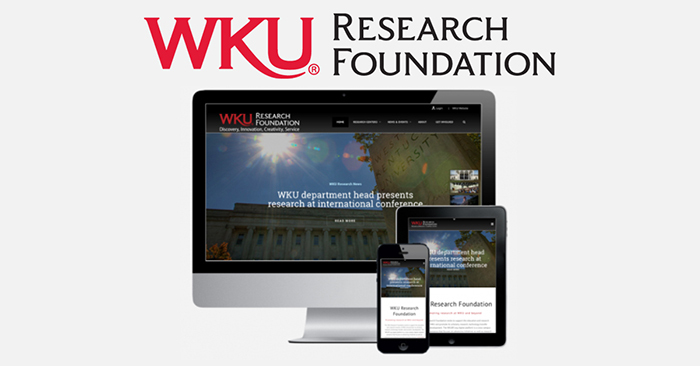 The WKU Research Foundation has launched a new website at WKURF.org. The website serves as a cross-campus research showcase dedicated to the advancement of research initiatives and the publication of information about research and scholarly project outcomes and their impact. Through a collaborative partnership with the WKU Office of Public Affairs, the website integrates with WKU Research News and provides additional content including research spotlights, student spotlights, WKU Research Foundation project updates and more. The website also presents a platform to recognize the research contributions of faculty, students, alumni and community leaders through their inclusion in the “Movers & Shakers” directory. Students, faculty, community members and businesses can visit the website not only to find information related to research and outcomes, but also to learn about opportunities to get involved. The “Get Involved” section highlights new opportunities for each group; an event calendar spotlights important dates such as grant deadlines, workshops, webinars and training resources. The platform is meant to serve as an ongoing resource providing continuous updates. 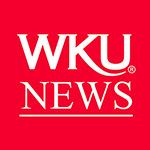 Built-in feedback mechanisms will facilitate submissions from the WKU community for research center showcases, event listings, spotlight articles and additions to the Movers & Shakers directory. The WKU Research Foundation monthly email newsletter will also provide subscribers with access to a curated list of updates. 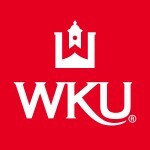 About the WKU Research Foundation: The WKU Research Foundation is composed of board members with expertise in various areas of science, technology, entrepreneurship, business development, economic development, and fundraising. The expertise of its members gives the board has the potential to connect resources in order to advance initiatives developed by WKU faculty and students. The RF Board is interested in facilitating the connection of these resources to several campus initiatives, supporting their growth and long-term viability.